Last year around this time, when the Redskins and general manager Scot McCloughan were trying to determine who might fit as the No. 5 overall pick, NFL analyst Charles Davis believed one of the team’s prime targets, left tackle Brandon Scherff from Iowa, should really be a guard. That analysis proved true. 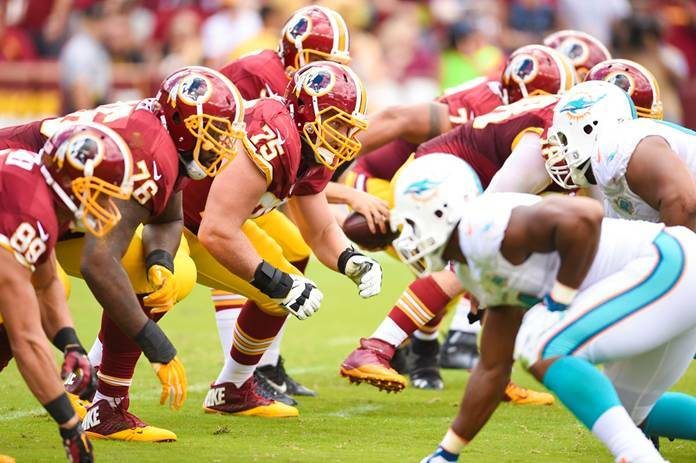 After a week in training camp, and some time for head coach Jay Gruden to determine who fit best and where on the offensive line, Scherff was moved to right guard, while Morgan Moses took over the starting spot at right tackle. The decision proved more than effective. Scherff, standing at 6-foot-5, 319 pounds, would only miss one snap – thanks to his cleat falling off – the entire season, growing into a strong blocker up the middle and forming a powerful right side. Davis chose not to brag about his foresight. Instead he made even more predictions.